The ultimate guide to Lech ski holidays in 2019 & 2020. 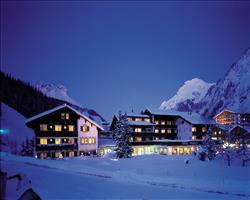 Known as one of the classic ski resorts, Lech is part of the ‘Best of the Alps’ group. Also crowned 2004’s Prettiest Village in Europe, it oozes traditional alpine charm with the bonus of a world-class ski area and some of the best snow in the Alps. The resort’s superior status in the skiing world has made it a favourite of the rich and Royal for decades – Princess Di used to ski here and sharing a chairlift with Tom Cruise or Vladimir Putin is a real possibility... The uber-posh town has an exclusive feel, glittering with 5 star hotels (more than any other Austrian destination), high end stores, piano bars and acclaimed restaurants. View our detailed Lech snow forecast or snow report and see all live webcams, piste maps, road and travel maps and lift pass prices. For a picture of historic snow conditions see the snow depths month by month with our Lech snow history. When is the best time to ski Lech? "Great intermediate skiing, pretty village, friendly locals"
The people in Lech that you meet in the restaurants, hotels etc are all really friendly and everyone seemed really happy. The village is small and the places where you can eat are typical Austrian, with a few places where you can buy food (which was the last thing we needed, they feed you so well in the restaurants!). If you wanted to do some shopping, there’s just one ski sports shop. I find Austrian food really nice and wouldn’t say it was really necessary to go for a catered holiday in Lech, probably just bed and breakfast as you don’t really want to walk around in the mornings. The food we had during the day on the slopes was great and we didn’t have to worry about the price of eating out which was really nice. They fed you really well too, with lots of courses and wine. We were here on what I think was the last week of the season and the snow was still good. It was nice and warm at the beginning of the week like spring skiing (I actually came home with a tan) and then in the middle of the week there was a big snow storm and after that the snow conditions really improved. I think ‘intermediate’ is the best way to describe the ski area, the majority of slopes are blue runs so if you want adventure skiing this isn’t really your place. Since we’ve been there though, I heard that they’ve connected it with the neighbouring resort, so there will be a lot more skiing this year. 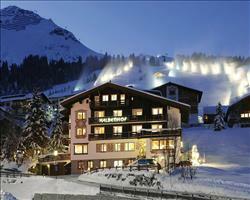 "Amazing snow, slopes and lifts"
I love Lech, the skiing’s really good and the lifts are amazing. The lift pass place is right next to the lifts which is convenient and you can go to other resorts easily with just a bus ride. 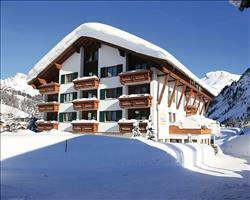 The ski area has loads for intermediate and advanced skiers. The weather in January was good, with fantastic snow and the area is quite high so they have snow through to April. It’s good for families and couples but if you’re a party person there isn’t anyone in the bars here after nine, you’d have to take the bus and go over to somewhere like St Anton. 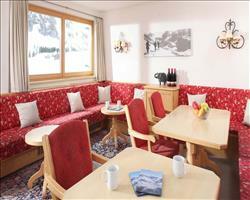 There are some bars where the ski instructors all go, but those aside Lech is mainly old money. The village itself has so many shops and supermarkets as well as a lot of pizza places, although most people end up eating in their hotels. Night life in Lech can be legendary if you know where to look. There are a handful of chilled out apres bars that you can spend your afternoon in, including hotel krone with a good sun terrace. In the evening your first stop should always be Shneggerai, a traditional ski hut that serves the best pizzas with the friendliest staff. Get to know them they will supply you with endless free Schnapps. Be sure to challenge the local seasonaires to a turn at the nail game. Then head towards Archiv bar under the Ruffiplatz lift. It's a tiny bar but the most lively place in town and plays music until 'officially' 2am (but is open much later in peak season if there are still punters inside!) NEVER buy a spirit, you'll be parting with your life savings. Get used to enjoying beer and wine (and jager, which you are encouraged to screw in to the little holes in the ceiling...if you're small like me stand on a chair! they love it). Try not to take a ski jacket with you though, they will charge you to leave it outside. The music gets louder and more classic as the night goes on. It's nothing huge and spectacular but I challenge you to have a bad night in this tiny little place. 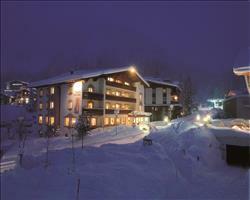 St Anton is obviously the apres meccah, but you don't need to venture so far afield to have a great time. "The White Ring was a big bonus of the week"
Lech is more of a posh family resort or somewhere for couples and groups in their 30s and 40s, it’s less of a party place for young people. There isn’t a great deal of après in Lech - we ended up in St Anton most afternoons and it’s amazing. You can’t ski from Lech over to St Anton, instead, you get on the bus for about 12-15 minutes and get off at a lift which takes you up to St Anton and into the whole region. Then at the end of the day, ski down to St Anton for a bit of après and get the bus back (it’s quite a long bus to get back to Lech from St Anton, about half an hour). The Arlberg region is quite good, we did a thing called the White Ring which was really fun – Lech is the best place to do it from. You would probably have to have been skiing for 3-4 holidays to do it (unless the snow is really good). It goes down a bashed piste and also has bit’s that aren’t piste bashed. We really enjoyed doing that and if you’re a competent skier it’s definitely worth a crack. The route takes you up and down lifts in a big ring through Lech, Zurs and Zug. Zug is a really small town with no through roads and at the top of the chair lift in Zug there’s a really nice restaurant which has a lovely balcony looking over the valley. They have an outdoor bar where they bring you a beer as you’re sitting looking out. We had a bottle of proseco there and it was ideal. The slopes in Lech itself are really good for beginners and intermediates. If you’re an expert, there aren’t many black runs but you do have a nice amount of off piste. We did have some really nice conditions despite it not being a good year for snow – it snowed in the night and we had sunshine in the day. The shops in Lech are fantastic, although expensive. The ski shop in Strolz was really good for ski hire (the other part of Strolz is like Harrods!). It’s criminal how much they charge but to be fair it’s the best ski shop I’ve been to and our boots and skis were amazing. If you had a lot of money you could easily spend it here on things like ski jackets for a grand! I’d definitely go back to Lech and I would definitely recommend it if you want to enjoy St Anton but pay less money, but I would probably look at staying in St Anton itself first. "We'd go back, better for our family than St Anton"
We hadn’t been to Lech before but we had been to St Anton and had found it was a bit challenging with kids. By linking the Lech area up to another resort, it’s opened up a new set of slopes. Without the new link it would be quite small but with the whole area, you can easily do a full week’s skiing. It’s worth knowing that coming down the home run to Lech is a little bit on the tricky side because of all the moguls. It used to be a red but they changed it to a blue because it put a lot of skiers off... You can get the cable car all the way down from Oberlech if you don’t want to ski. Zurs is very good although both days we went there it was very foggy – the runs there are nice, long and gentle, you have to ski or get a skido back which is an adventure in itself. The village is posh and expensive. We’ve always rented helmets for the kids or they’ve been included with the ski hire, but the price of renting helmets here actually turned out to be the same as buying them back home, which we ended up doing instead. The après ski is very civilised and chic – there’s one bar where the only way up is the cable car from the Zurs side – it’s stuck on the edge of the mountain and is the chic-est bar ever with live jazz and really expensive food. If you come down to the actual town, it’s cheaper than the mountain and you can get some reasonably priced pizzas. It was the end of the season and St Anton didn't have any snow at all! We were lucky in Lech as we just had to go up to find good conditions, although it was getting a little sugary than lunch. 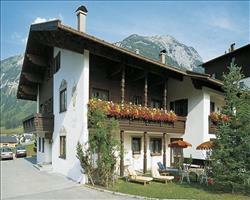 "Lovely, we'll stay here again"
Lech is very pretty and has some lovely bars and restaurants. Weather wise, the first three days were clear and then we had a couple of cloudy, snowy days but we knew our way around by then so it didn’t stop us from skiing! From the ski lift standpoint, there were lifts on both sides of the main street and from one side you could ski a route that took you all the way round. The bus service was really good if you wanted to go anywhere else – we wanted to visit St Anton so skied half way over, got the bus for the rest of the journey and then got the bus all the way back. We were pleasantly surprised with the cost of things on the mountainside compared to France and will definitely be going back to Austria. "Lech end of March 2016"
We stayed in Oberlech, so had to get a cable car down to Lech (which we didn’t do much in the end). The weather was gorgeous in late March and one thing I’d recommend is skiing the White Ring ski route. We did it as a big group and it was quite easy, there was just a tricky bit at the end. In all it’s a really good family destination, the ski school is right there and everything you need is right there. The ski area is good with plenty to do and it worked really well for us. Another brilliant week in Zug / Lech, we’ve been back a couple of times now and enjoyed it. It has great ski in and ski out and great connections to other resorts up the valley and indeed over to St Anton on the bus. Next year you’ll be able to ski from Lech and into St Anton. 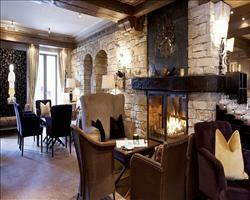 Overall it’s a great location and a good ski area. The snow is usually good. The area has quite a mix of runs, it’s probably not ideal for raw beginners but it’s absolutely ideal for people who’ve done a week and upwards. There’s good off piste if you have the kit and hire a guide, and there is loads of good stuff in between. 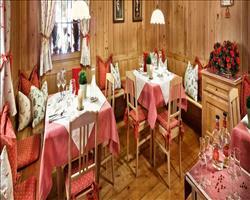 Generally it’s a resort for select upper class visitors, but catered chalets are a great value way to enjoy it. 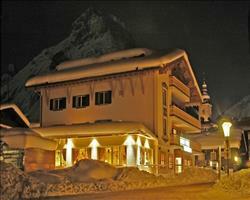 Other than ski there isn’t a lot to do in Zug, and Lech has limited nightlife. It’s a resort for those who don’t want to go to St Anton. We’ll definitely be back! We had a couple of sunny days in April as well as some overcast days. We were beginners so didn’t explore the whole area anyway, but others in the chalet still managed to enjoy themselves. I think it is a good place to learn, there were several easy nursery slopes and practice slopes, and a nice area to progress onto. The toboggan run is fun, but undertake with caution if you’re an adult as it gets quite bumpy! The snow wasn’t great but we still had a good week’s skiing. We’ve been skiing several times and the atmosphere and service you get in Austria is so much better than France. There was definitely enough for our group to explore on the slopes – obviously you have to get used to taking buses, but we went over to St Anton and St Christoph which had plenty to ski. The only thing is that the area’s very steep, they haven’t got much by way of greens. I wouldn’t go back again for the village, there wasn’t a lot there and I’ve been to prettier ski resorts (like Seefeld and Zell am See). It’s along one road with a parade on the left hand side and a couple of shops and the slopes on the right hand side. It has a little church on one side as you go in. There’s a shop where they sell traditional Austrian costumes, a co-op and lots of ski shops where you can buy expensive clothes but not really any souvenir shops. 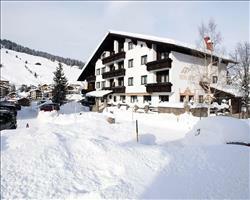 Lech has one good pub at the edge of a nice hotel at the bottom of the main slope that you come down. The skiing was OK, a bit hard work as it was late in the season so the lower slopes were slushy. The skiing wasn’t too challenging and there are some nice wide open runs and runs through the trees. 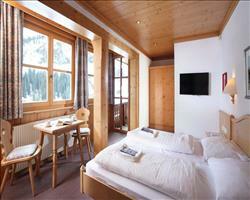 We were in a chalet in Zug, which is very small. There’s a good bar up at the top but not really any other bars to speak of in terms of après ski – you just had to do it and ski down which was ok for us. The place itself is fairly non-descript as a village. On 3 or 4 days we had good powder snow. I’d say that Zug was better for expert skiers as the ways back are either red or black off piste ski routes. It was fine for us as expert skiers but if you were a beginner you would have to either come back in a different direction or get the lift. Love this resort as it has asscess to other resorts leading to a big ski area. Lots of runs for all abilities. Really nice place to stay and plenty going on. The tobogan run is a must! Great for all ages and look out for the kids as they come hammering down. It wasn’t the best snow conditions while I was here, the weather was superb but there wasn’t really any snow. It’s been a bad snow year. I stayed in Zug, a hamlet a couple of miles out of Lech. There isn’t much there, it’s quite remote, there’s a bar and a few restaurants. I was skiing on my own for the first time: it was fine for me but if I had come here in a group I think I would have rather stayed somewhere less remote. I would definitely go back again though. It’s a nice place for older couples. A charming village, with some great offpiste. 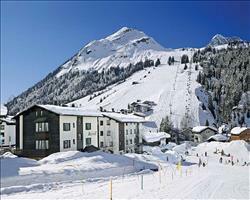 Set in the Arlberg close to the German border, Lech is linked to Zürs with a good lift system.